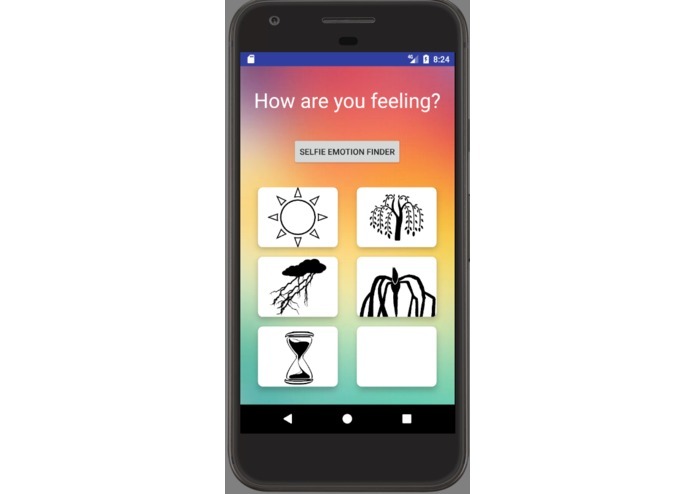 From personal experiences as well as from our friends, we know that it is often hard for people in a troubled state of mind to access immediate solutions that help them calm down. In these situations, we don’t always want to open up to others, which often leads to us feeling even more lonely and isolated. Current solutions use limited techniques that require excessive user effort and human resources. 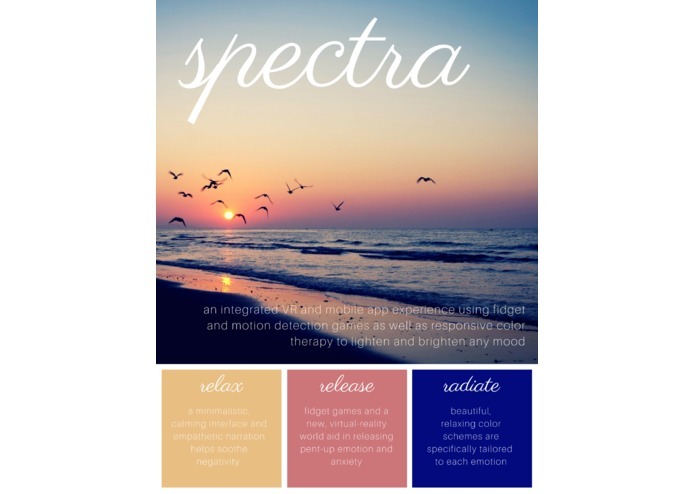 Spectra offers an intimate solution that can be personally tailored and is accessible to everyone. 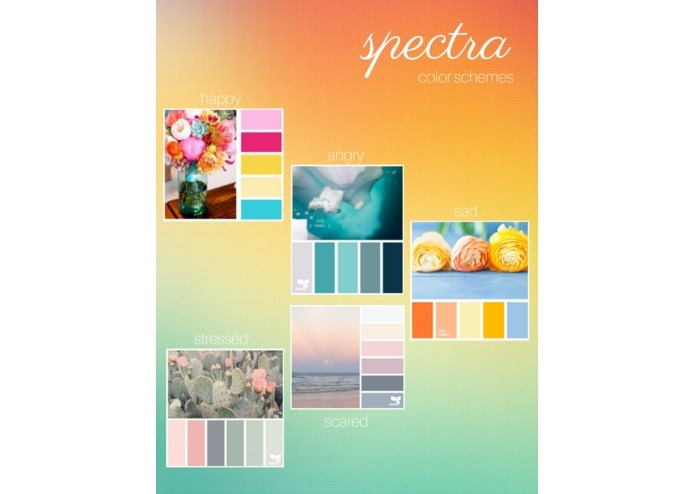 When you open the Spectra app, a minimalistic design and soothing narration guides you to activating the experience that corresponds to your current emotion, which can be chosen on a menu or recognized through a quick selfie. 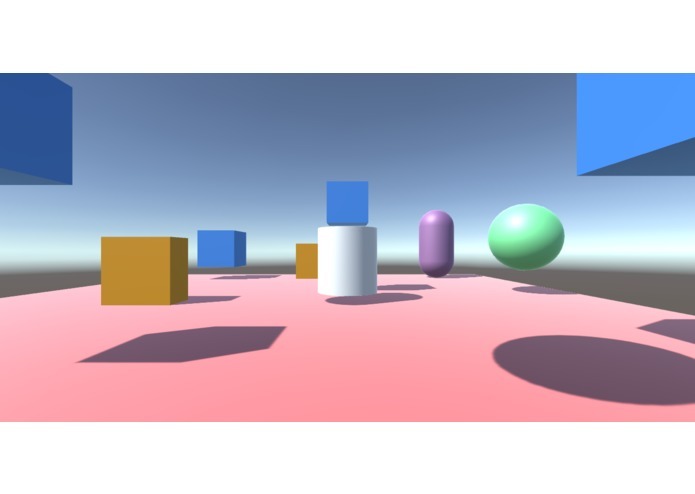 Currently, the VR world consists of color-shifting shapes; you are able to walk among them and change their colors with a click of the keyboard. The physical component, which is an Arduino setup, is like a fidget game that helps release pent-up anxiety. 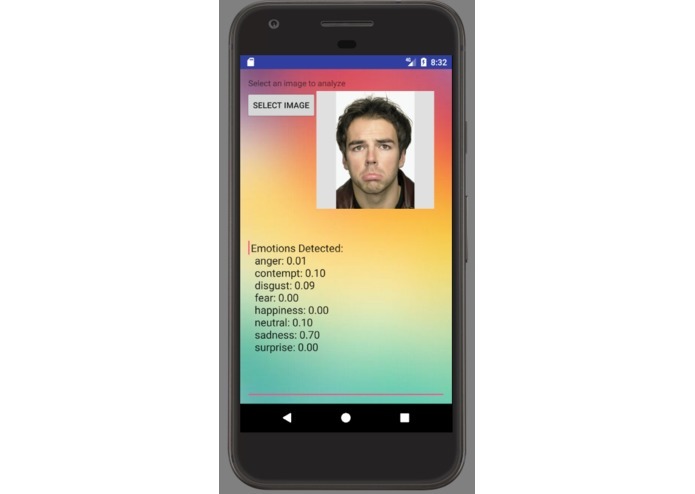 The Spectra Android app is built using java, xhtml, and Android studio, which is effective for rapid prototyping. The image recognition component uses Azure, a machine learning API by Microsoft. The hardware and circuitry is designed using Tinkercad, Matlab, and implemented using an Arduino. The VR experience is designed using Unity, programmed using C#, and viewed through Oculus Rift. Finally, the graphics, brochures, and color designs are created using Photoshop. None of us had any experience in mobile development or virtual reality before this hackathon, so it took us a bit of time (and a few Youtube videos) to get off the ground and running at the beginning of the project. 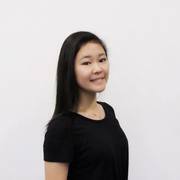 The image recognition implementation in particular was a challenge for us, because we had trouble with the API. In addition, our Arduino was not functional for most of the project, so we ended up making a circuit design and simply finishing up the code for our hardware. In the future, we hope to make spectra universal and viable for mass production, which would make it increasingly accessible to those in need of it. We also want to develop an even more interactive and immersive virtual experience, potentially with haptic systems that will allow us to physically interact with the objects in the VR world. It would also be interesting to implement even more machine learning based on user feedback to account for different connotations of colors in different cultures, and to create an ultra-personal experience. I worked on the matlab app interfaced with an arduino board to light up lights and read push buttons. I worked on front and back end of the android app development using Android Studio (Java, XML). It was really exciting (and equally frustrating) to be able to create an Android app from scratch.